Easter gift basket vector art. Seasonal graphics for Easter designs. Basket filled with colorful eggs and big ribbon on the handle of the basket. Free vector graphics for Easter, holidays, spring, Christianity, Jesus Christ, religion and traditions designs. 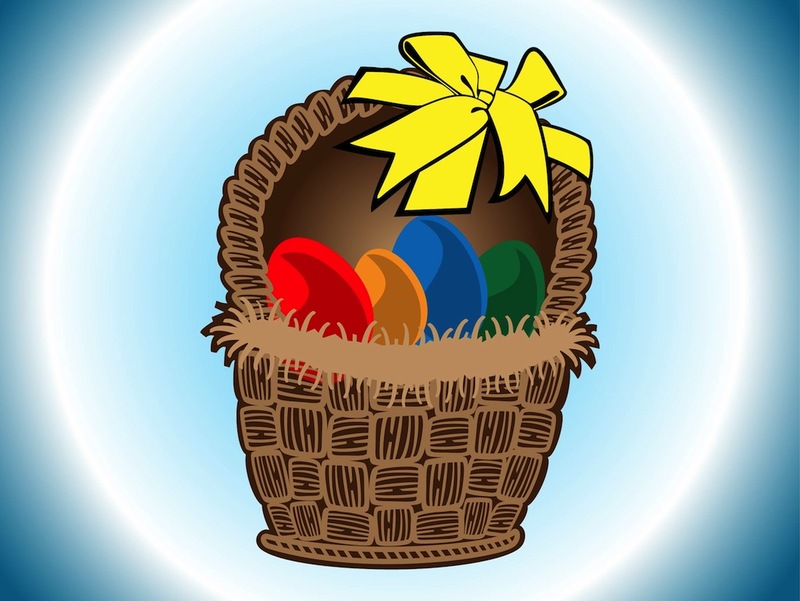 Download basket with eggs for greeting cards, stickers and posters. Tags: Celebration, Christianity, Eggs, Greetings, Holiday, Ribbon, Spring.